In This FX Plug-In Bundle You Get 2 Different Effect Plug-Ins. One Being The "Saucey Filter" & The Other Bring The "Saucey Distortion". These Plug-Ins Are Amazing In Not Only Quality Of FX They Do But Also Build Quality / Looks / Simplicity & Straight To The Point FAST Loading Times & All. 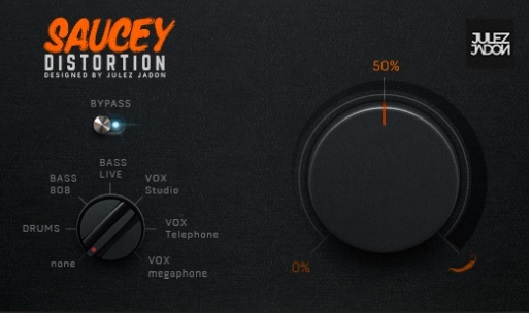 Go-To NEW Distortion PlugIn For Drums, 808, Bass, Vocals & Anything You Want To Add Some GRIT To. Adds Character To Your Signals FAST & EASY. Very Easy To Understand & Use! Supports Both MAC / PC & 32/64 Bit. 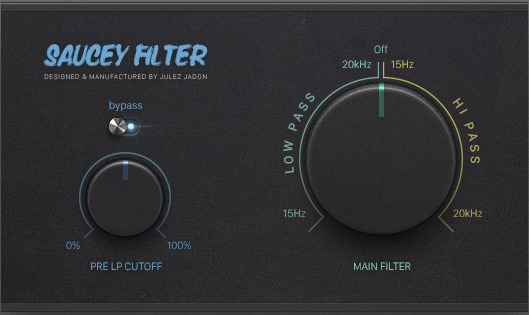 Go-To NEW Filter Plugin For Full Mixes (Master Channel) , Loops & or One Shots. Adds Character & Change In Your Mix EASY & Quick. Very Simple To Use & Understand! CheckOut The VIDEO DEMO Below To See These FX Plug-Ins In Action.